When a young nun at a cloistered abbey in Romania takes her own life, a priest with a haunted past and a novitiate on the threshold of her final vows are sent by the Vatican to investigate. Together they uncover the orderâ€™s unholy secret. 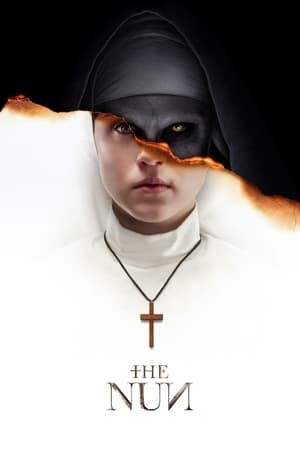 Risking not only their lives but their faith and their very souls, they confront a malevolent force in the form of the same demonic nun that first terrorized audiences in â€œThe Conjuring 2â€� as the abbey becomes a horrific battleground between the living and the damned. Overall I liked The Nun it was a spooky fun movie with some pretty good shots and scenes (lighting, camera angles, and such). The transitions from one scene to another was a bit off and the story overall had a more fantasy tone over the more grounded and realistic tone The Conjuring and Annabelle movies had. Much of the story felt like it was just forced to setup a shot or scene which does hurt it. It isn't a perfect movie but I'd watch it again. It is like Indiana Jones meets Silent Hill. None of the character actors felt out of place or superficial either, I really appreciate that. Everyone felt believable and natural to their roles and environment, not forced.